InventoryBot to bring On-Demand Manufacturing to small and mid-sized businesses. PRINCETON JUNCTION, N.J., February 26, 2018	(Newswire.com) - Today buildPl8 Manufacturing, of Princeton Junction, New Jersey released its flagship cloud software, InventoryBot. The system promises to transform how businesses create and manufacture parts and products, with their "Factory Mesh" of 3d printers. “InventoryBot has been a year in the making and has tools that provide users with everything from 'direct print' to the management of complex multi-part product construction. It is THE solution for small manufacturers looking to outsource parts creation.” said Gerry Libertelli, buildPl8 Founder, and CEO. InventoryBot is available now at http://www.buildpl8.com and is free to join and price models. Users of the system can create a real “On Demand” manufacturing supply chain node with integrated drop shipping. The company says they envision InventoryBot will become a component of a manufacturer's larger supply chain. "I can not wait to see what the creative genius of the US entrepreneur unleashes with 3d printing. With InventoryBot, we hope to be a big part of that transformation. We want to be the tool US business turns to when China can't get it done." challenged Libertelli from his newly christened Princeton Junction, NJ factory site. "InventoryBot, and services like it, portend the start of a new kind of manufacturing revolution. It is now possible to conceive, design, prototype AND MANUFACTURE all within a closed loop. This will enable more innovation and more consumer choice," said Ben Reytblat, CEO of 3dMonstr. 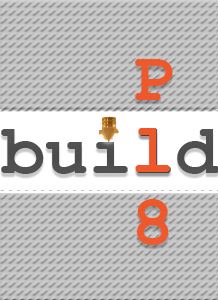 "We are very excited to be working with buildPl8 on this exciting venture. Our large format, high-speed printers are at the center of the InventoryBot solution and we are so excited that buildPl8 has trusted us." I can not wait to see what the creative genius of the US entrepreneur unleashes with 3d printing. With InventoryBot, we hope to be a big part of that transformation. 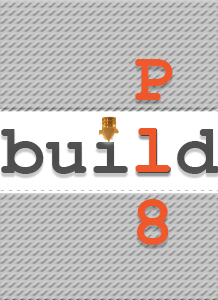 About buildPl8 - buildPl8 is a “3d Printer Factory” designed to bring “on-demand” manufacturing to everyone. Located in Boonton NJ, with facilities in Princeton Junction, NJ, the company focuses on the mass production of thermoplastic parts and products across a variety of material types and formats. The company’s flagship product, InventoryBot provides access to the buildPl8 factory of 3d printers with tools that allow customers to do everything from “direct print” to manage complex multi-part product production. Company announces one of the first cargo carrying systems for consumer drones. buildPl8 Manufacturing Inks Deal for Custom, High-Speed Additive Manufacturing Infrastructure. Sign up for email updates from buildPl8 Manufacturing.